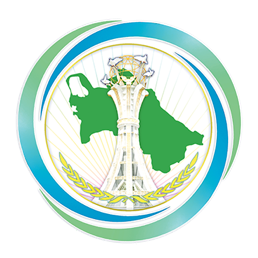 On December 6-7, 2018 in Ashgabat, the Government of Turkmenistan in cooperation with UNESCO is organizing an International Conference on «Importance of the Great Silk Road: Present and Future Development». The conference is expected to be attended by high-level representatives. The conference will be held in the form of the sessions, the purpose of which are to strengthen intercultural dialogue, peace and cooperation in order to achieve the UN Agenda 2030, uncover geo-economic potential, promote cultural, political and economic cooperation of peoples along the Silk Road. On the eve of the conference, on 4-5 December, 2018, there will be an expert meeting on the theme «Traditional Sports and Games of the Interactive Atlas of Cultural Interactions along the Silk Road» and the Fifth Meeting of the Coordinating Committee on the Serial World Heritage Nomination of the Silk Road. In addition cultural events will be held on the history and role of the Great Silk Road - the photo exhibition «Youth Eyes on the Silk Roads», an exhibition of paintings and the archaeological heritage of the countries of the Great Silk Road, an international exhibition of books and publishing houses of neighboring countries.